*Note all information provided is confidential! *there are strict time limitations for filing an action. Responding to this field does not establish a solicitor-client relationship or expectation. You should have no expectation of us returning your message within any time frame. ** Legal services are provided by D. Gosal & Associates, Law Corporation. Facing Spousal Assault or Domestic Violence Charges? If you have been arrested for Criminal Spousal Assault or Uttering Threats, to cause bodily harm or death threats, you need to get the best criminal defence for your criminal case that you can afford. D. Gosal & Associates has over 15 years of trial experience to help defend your case. Domestic charges, commonly referred to internally as a “K-File” designated offence, usually includes your girlfriend, boyfriend, common law partner, wife, husband or spouse; gender is not considered in the definition. These offences are often called Domestic Assault or Domestic Violence charges and are prosecutable under the Criminal Code of Canada. Usually these cases start by someone calling a police emergency line, like 911. The Dispatcher will send out at least one unit of the local law enforcement agency ( Surrey RCMP, Abbotsford Police Department, Vancouver Police Department, Delta Police Department, etc. as the case may be). The police will attend to your residence or location 911 call originated from, and usually within a few moments, they will likely arrest somebody (probably you if you are reading this) and try to secure and gather evidence for the prosecution by way of a Report to Crown Counsel. Can the Police just give my partner a “warning”? Crown counsel policy is to press forward with prosecution in many cases, even if the complainant does not want to cooperate with the police. They will respond in a “coordinated, pro-active, and vigorous” manner. This may include seeking your detention at a Bail Hearing, which may result in your staying in Jail or Pre Trial Centre until your Trial, or the early assignment of a designated Crown Prosecutor who deals with these kinds of files. The Prosecutor will likely also try to have the complainant personally served by the police or sheriff’s office with a Criminal Subpoena, commanding them to attend Court. They will NOT drop the charges solely based on the victim’s wishes. You will almost certainly be separated from your spouse and children, even if they don’t want the charges approved. This could cause financial havoc, with mortgage payments, bill payments or joint obligations, as you cannot even talk to each other. You never thought you would see the inside of a jail cell. Your top priority should be to retain (hire) the best criminal lawyer you can afford right away. Often if you are arrested, you will be handcuffed, for officer safety or otherwise, and then taken to the police detachment. All in front of your neigbhours, children or others. You will likely be placed in a cold concrete cell, eventually be processed and often your mug-shot and fingerprints taken. If you are lucky, you will be released on a Promise to Appear, or Notice of Appearance, which commands you to attend a future court date for Provincial Court for your First Appearance. However, you almost certainly won’t be allowed home. Time to get a hotel or couch-it at a friend’s house. Sometimes the detachment will have you attend a future court date for fingerprints under the Identification of Criminals Act. The police may want to secure your confession or admission from you at this point. They may suggest they want to “hear your side of the story.” Well, let’s think about that for a moment. If you are already handcuffed, and being charged, are the officers really interesting in an impartial investigation of the facts, or are simply focusing in on you as the target of their prosecution? You have a Right to Remain Silent in almost all circumstances. You should consult us right away so that we can discuss your Right to Retain and Instruct a Lawyer, and Right to Silence Rights, under the Common Law and Charter of Rights and Freedoms. Sometimes, you may be held overnight to either “sober up”, or if the matter is considered serious enough, to have a hearing before a Provincial Court Judge or Justice of the Peace (if it’s on the weekend or night time). Some precincts decide as a matter of course to let the JP or Justice of the Peace make the decision whether you should be released. These are critical phases in your case and you should contact counsel at the earliest stage so that we can speak at your bail hearing and gather the facts and evidence that is needed. Time is critical in these kinds of cases. If you are on the lam and have taken off from your home or residence after an alleged assault, then an Arrest Warrant may be issued for your arrest. According to law you can be picked up and taken into custody and dealt with for a bail hearing, also known as a Judicial Interim Release Hearing or Show Cause Hearing. It is better to retain (hire) us to assist you if this is the case. 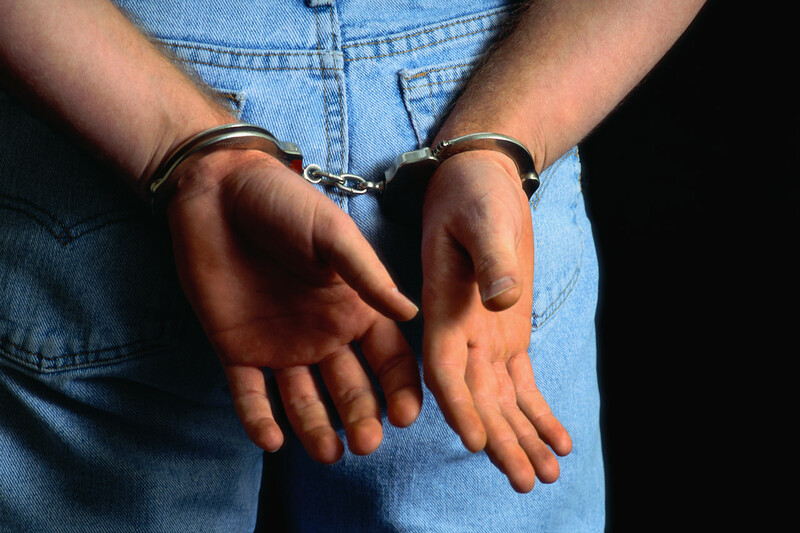 We can assist in you turning yourself in and speak at your release or bail hearing. You should hire a top criminal defence lawyer in order to get the best defence available for your criminal assault or spousal assault charges. DO NOT RISK YOUR BAIL HEARING without getting your legal counsel fully prepared for your hearing. You may only have one shot at bail in Provincial Court. After a Bail Hearing, then you may be released, detained or released on certain conditions, including deposit of money, surety bail or keeping certain conditions, such as an Undertaking to a Justice or a Judge. • Not to contact or communicate directly or indirectly with the Complainant (spouse, wife, girlfriend, etc.) This includes texting, email, twitter, etc. Make no mistake – a Criminal Conviction will result in a Criminal Record. This may drastically curtail your ability to travel to the USA and other destinations. You may also face employment termination or employment issues as well. It is best to speak with us immediately. In many cases we are able to provide an analysis of the facts and questions of law that result in no criminal conviction, so that you can avoid a Criminal Record and Pardon application down the road. Many of my clients call to say that it was a minor misunderstanding or that everybody is fine now. However, if you have bail conditions, you must adhere to them or else you can face an additional Criminal Charge. This is called a breach of your bail or Undertaking under section 145 of the Criminal Code. This has nothing to do with the original charges, but is based on whether you complied with the Undertaking. If this is a repeat offence, you cannot afford to risk handling your bail hearing without counsel and you should not risk running the trial on your own. The Judge will certainly not appreciate the fact that you have allegedly committed new offences while out on bail. You will have another bail hearing in most cases and may be in a reverse onus position to prove why you should be let out. If the case goes to trial, the dates are usually fast-tracked so that the trial is within 3-4 months (regular criminal charges in Surrey Provincial Court often result in at least a 1 year waiting period). At the Arraignment Hearing, we will enter a Not Guilty plea for our clients, upon instruction, have the matter arraigned, and obtain Trial Dates and Trial Confirmation Hearing Dates. Defences, such as self-defence or defense of self may be invoked, as well as defence of others or defence of property. Often these cases come down to credibility and what version of the events is the truth and who can prove what really happened. There are many ways to assess the critical issue of credibility, including considering case law. If you decide to plead guilty, or are found guilty, then a Sentencing Hearing will occur in which case submissions will be made by the Crown Prosecutor, and us as your defence lawyer, to what an appropriate and fit sentence is. Many factors are considered in a Sentencing Hearing. In some cased, the Crown may seek continued conditions while on probation or after your jail sentence. Section 718.2 of the Criminal Code provides that abuse of one’s spouse, common law partner or child is an aggravating factor on sentencing. In British Columbia, the Police recommend charges to the Crown and the Crown lays the charges. It isn’t like some US jurisdictions, where the Complainant can stop that process right away. The Crown has to look at the public interest and also the protection of the general public in dealing with these matters. They are not necessarily on the same page with what the Complainant wants to have done in the case. As discussed above and below, the Crown Prosecutor may see the case differently than you and your spouse. If there is an Undertaking or Bail Condition or to a Officer in Charge, you cannot simply go home because you partner wants you back home. An application to a Judge can be made to modify your bail. However, these are sensitive issues and you should consult our law firm, or a lawyer immediately before proceeding. Some jurisdictions will have zero tolerance, or Mandatory Arrest Policy, and some prosecutor’s offices are equipped with special designated Domestic Violence Prosecutors who prosecute only those offences. Sometimes the police will try to secure a KGB statement from the alleged victim. You need to contact us right away if these are the circumstances. In some cases, we are able to have discussions with the Crown Prosecutor on a lawyer to lawyer basis, so that we are not admitting things that you may not want to reveal directly. In some cases, we are able to come to a fair resolution that avoids a Criminal Plea and Conviction with certain conditions attached, such as Anger Management or Alcohol Counseling. A peace bond is not an admission of assault, but rather that you concede and admit that a person had a reasonable basis for a fear of their person or personal affects. If you violate a condition of the Peace Bond, then you may be charged with a breach under s.811 of the Criminal Code, which can result in a Criminal Record. If you need a criminal lawyer for your assault charges, and in particular spousal assault or uttering threats charge, please contact us right away. We take cases across BC, including: Surrey, Abbotsford, Port Coquitlam, Poco, Vancouver, Richmond, Delta, Langley, Kamloops, Chilliwack, North Vancouver, Burnaby, Nanaimo, Kelowna, Squamish, Whistler, Victoria, New Westminster, Maple Ridge, and Penticton. This section applies to all forms of assault, including sexual assault, sexual assault with a weapon, threats to a third party or causing bodily harm and aggravated sexual assault. Accused’s belief as to consent: Where an accused alleges that he believed that the complainant consented to the conduct that is the subject-matter of the charge, a judge, if satisfied that there is sufficient evidence and that, if believed by the jury, the evidence would constitute a defence, shall instruct the jury, when reviewing all the evidence relating to the determination of the honesty of the accused’s belief, to consider the presence or absence of reasonable grounds for that belief. (a) an indictable offence and is liable to imprisonment for a term not exceeding five years; or (b) an offence punishable on summary conviction. (a) an indictable offence and is liable to imprisonment for a term not exceeding ten years; or (b) an offence punishable on summary conviction and liable to imprisonment for a term not exceeding eighteen months. (a) where a firearm is used in the commission of the offence, to imprisonment for a term not exceeding fourteen years and to a minimum punishment of imprisonment for a term of four years; and (b) in any other case, to imprisonment for a term not exceeding fourteen years. (1) Every one commits an aggravated sexual assault who, in committing a sexual assault, wounds, maims, disfigures or endangers the life of the complainant. (a) where a firearm is used in the commission of the offence, to imprisonment for life and to a minimum punishment of imprisonment for a term of four years; and in any other case, to imprisonment for life. (b) in any other case, to imprisonment for life. Section 273.1 Meaning of “consent” (1) Subject to subsection (2) and subsection 265 (3), “consent” means, for the purposes of sections 271, 272 and 273, the voluntary agreement of the complainant to engage in the sexual activity in question. (a) the agreement is expressed by the words or conduct of a person other than the complainant; (b) the complainant is incapable of consenting to the activity; (c) the accused induces the complainant to engage in the activity by abusing a position of trust, power or authority; (d) the complainant expresses, by words or conduct, a lack of agreement to engage in the activity; or (e) the complainant, having consented to engage in sexual activity, expresses, by words or conduct, a lack of agreement to continue to engage in the activity. Subsection (2) not limiting (3) Nothing in subsection (2) shall be construed as limiting the circumstances in which no consent is obtained. (a) the accused’s belief arose from the accused’s (i) self-induced intoxication, or (ii) recklessness or willful blindness; or (b) the accused did not take reasonable steps, in the circumstances known to the accused at the time, to ascertain that the complainant was consenting. The Criminal Justice Branch recognizes that spousal violence constitutes a very serious and complex problem requiring a special response which is pro-active, coordinated and vigorous. The Branch recognizes its pivotal role in these cases, and it is committed to working effectively and cooperatively with its justice system partners. A spousal violence offence is defined as physical or sexual assault, or the threat of physical or sexual assault, against an intimate partner, defined as a person with whom the offender has, or has had, an ongoing close and personal or intimate relationship, whether or not they are legally married or living together at the time of the assault or threat. While the significant majority of these offences are committed by men against women, for purposes of the application of the law and this policy, the gender or sexual orientation of the accused and the victim are not relevant. The Criminal Justice Branch classifies all spousal violence cases as “K” files. The Branch also recognizes that the dynamic of violence in intimate relationships can be very complicated and consequently classifies as a “K” file cases involving offences other than physical or sexual assault, such as criminal harassment, threatening or mischief where there is a reasonable basis to conclude that the act was done in order to cause, or did in fact cause fear, trauma, suffering or loss to the intimate partner. The Branch classifies as “K” files cases where the intimate partner is the target of the criminal action of the accused although not the direct victim, for example where the accused has committed an offence against someone or something important to the intimate partner such as an assault on the intimate partner’s child or new partner. The Branch also classifies as “K” files cases where charges arise from breaches of court orders made on “K” files and applications for section 810 recognizances relating to the above. The Branch recognizes that, where the evidentiary test is met, it is generally in the public interest to proceed with a prosecution in cases of spousal violence. Policy CHA 1 states that it is generally in the public interest to proceed with a prosecution where the victim is a vulnerable person such as a spouse. Exceptional circumstances may require that a prosecution proceed even though the usual evidentiary test is not satisfied. Exceptional circumstances will most often arise in cases of high risk violent or dangerous offenders or where public safety concerns are of paramount consideration. In these cases, charging decisions must be approved by Regional or Deputy Regional Crown Counsel and the evidentiary test is whether Crown Counsel is satisfied that there is a reasonable prospect of conviction.